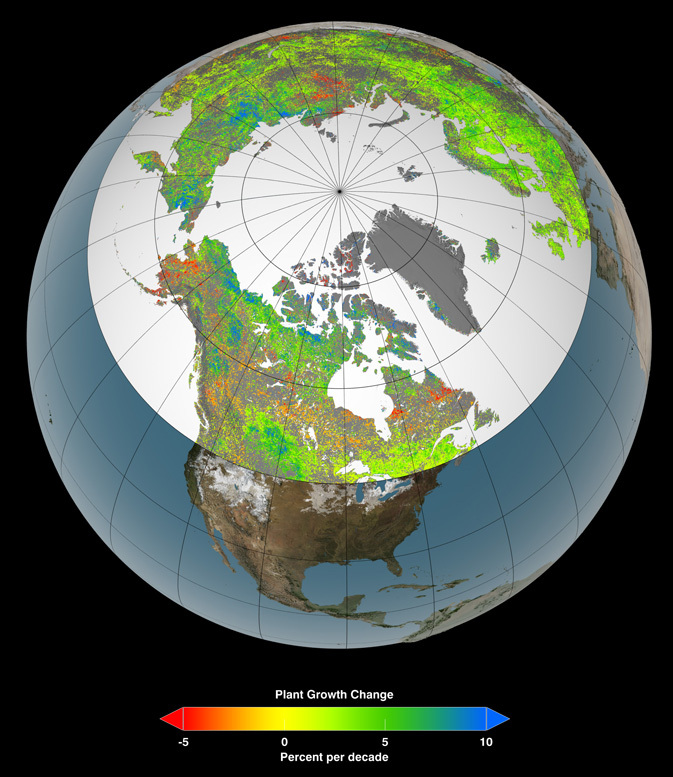 WASHINGTON — Vegetation growth at Earth’s northern latitudes increasingly resembles lusher latitudes to the south, according to a NASA-funded study based on a 30-year record of land surface and newly improved satellite data sets. The study was published Sunday in the journal Nature Climate Change. “It’s like Winnipeg, Manitoba, moving to Minneapolis-Saint Paul in only 30 years,” said co-author Compton Tucker of NASA’s Goddard Space Flight Center in Greenbelt, Md. 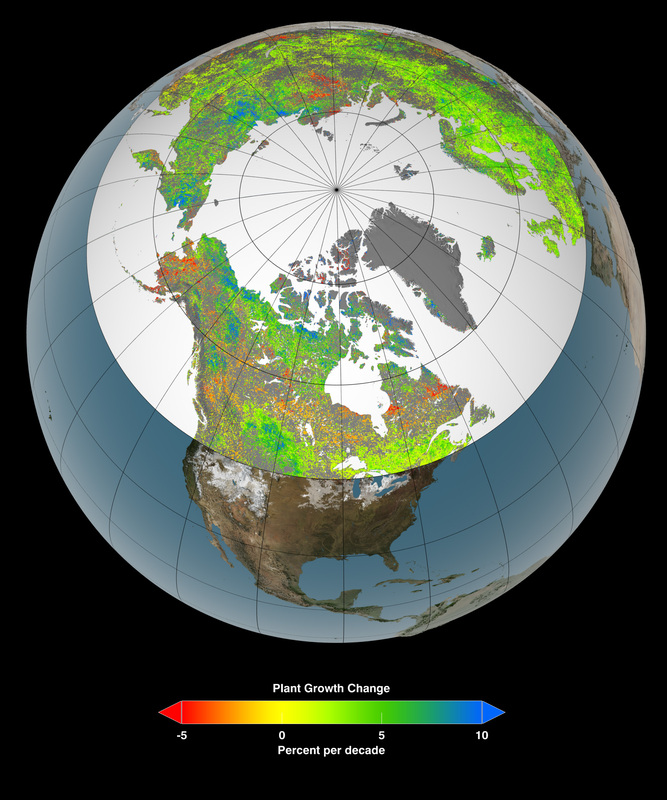 Researchers did find found more plant growth in the boreal zone from 1982 to 1992 than from 1992 to 2011, because water limitations were encountered in the latter two decades. 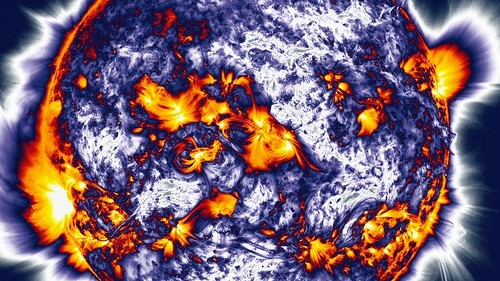 Data, results and computer codes from this study will be made available on NASA Earth Exchange (NEX), a collaborative supercomputing facility at Ames. NEX is designed to bring scientists together with data, models and computing resources to accelerate research and innovation and provide transparency.